I’ve been looking through the archives a lot recently with Real World Gold and Peter Gabriel’s ‘Secret World Live’ and ‘So’ Anniversary projects all giving the opportunity to open a few drawers. Mary Ann Kennedy’s Global Gathering (on iPlayer until 10:02PM Tue, 15 May) show on BBC Scotland which celebrated the groundbreaking work of musician and composer Martyn Bennett yesterday evening has kept me in the archives, but sent me on a diversion to a different set of images - Martyn Bennett in 2003. I was lucky enough to meet Martyn when he worked with Real World Records on the fantastic ‘Grit’ - he inspired us all, and I remember the joy at the ‘Move’ video Lee Parry cooked up from a few tiny clips Martyn provided - I think some sort of postage stamp sized early digital video. Listening to Martyn’s music and hearing his wife Kirsten talking about his life and music on iPlayer this morning prompted me to dig out some photographs I took at what was, I think, one of Martyn’s last appearances on stage - in DJ mode, as the support for Peter Gabriel’s 2003 concert at The Brighton Centre. There’s a certain sadness about the event and certainly a frailty to the man who gave me a hug at the end of the night, but beyond that there is the glimmer in his eye, the smile on his face at the end of the set and the great music he played for us that night. If you haven’t heard ‘Grit’ you probably should, but check out the radio show while it’s hovering in the ether. 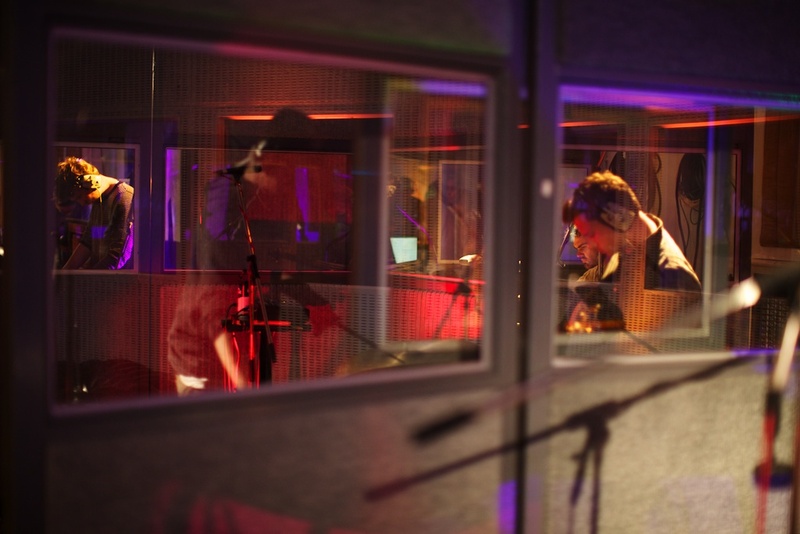 I spent last Thursday in Abbey Road‘s famed Studio 2 photographing the launch event for Bowers & Wilkins new P3 headphones. 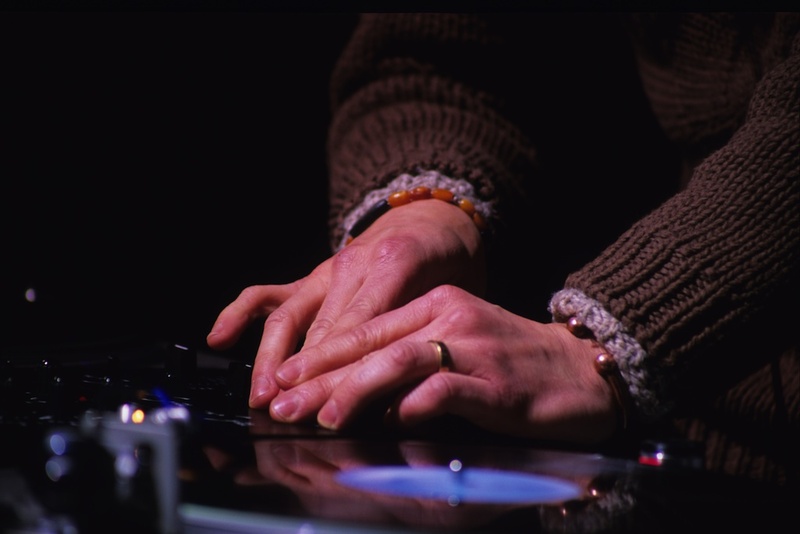 The innovative twist on events was that Portico Quartet would perform live whilst the audience listened on P3 headphones plugged into radio receivers. The performance was mixed live by Greg Freeman and then mastered so that at the end of the evening the guests also got to take away a copy of the recording on an iPod with a pair of the headphones. It was something like a live silent disco - without the dancing. I didn’t plug in to the main performance as I was trying to move around and capture the event, but I did listen during the soundcheck and it really worked well. The logistics seemed pretty complex for those involved in delivering the audio - perhaps the chest thumping bass of a large P.A. will continue to rule for now, but there is certainly something to recommend the headphone experience - as always with headphones it puts you right where you should be in the mix. Walking around without headphones during the performance was a little odd as much of the instrumentation on the two tracks Portico Quartet played was electronic, so there was an eerie quiet to the room - the occasional hang, cymbal and sax line escaping acoustically into the room. Great music direct to your ears, with good food and drink in an evocative space - an experience you would have to work hard not to enjoy, so hopefully ‘silent’ concerts will take off and there will be more events to photograph - perhaps in environments where making a big noise isn’t a good idea or the acoustics are too challenging, but where the space would add something to the experience. More images on my Flickr page.